Bi-File (two row) and Tri-File (three row) lateral storage systems from Spacesaver maximize storage capacity in an affordable way, turning two or three rows of shelving in nearly the same footprint. The front rows of shelving are placed on carriages allowing lateral movement along a track. This allows access to the back row of stationary shelving. 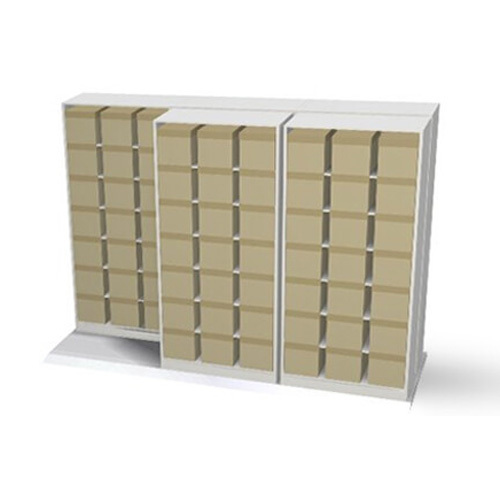 The result is a high-efficiency and cost-effective lateral filing system that doubles or triples storage capacity within a given area. To see how our lateral shelving systems have been utilized, check out our Office Storage Market.